Chiropractic care is a science, art, and philosophy based on principles and natural laws of how the body works beginning with nerve system function and the body’s innate (inborn) ability to self-heal and regulate. Chiropractic care is 100% natural, without the use of drugs, surgery or any invasive procedures. Doctors of Chiropractic (DCs) are the only health professionals that are trained to give specific adjustments to the spine and extremity joints in the body. Chiropractic doctorate programs entail 4 years of intense education and training. 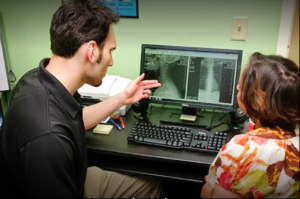 To meet Dr. Sandez and learn more about the Sandez Family Chiropractic & Wellness Center, please Book An Appointment online, fill out our Online Form, or call 919-535-3091. We accept most insurances and will file for you, and you do not need a referral to make an appointment. Sandez Chiropractic is proud to serve families in Cary, Morrisville, Apex, Raleigh, Durham and throughout the Research Triangle NC area.